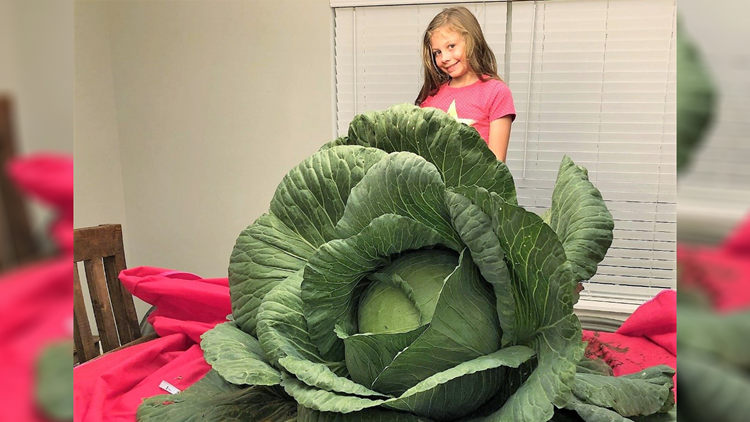 A Malvern girl has won this year's National Bonnie Plants 3rd grade cabbage growing with a gargantuan 21-pound cabbage. Allie Martin, who attends Magnet Cover Elementary, grew the huge cabbage with tender loving care until it reached 21 pounds. That'll make a lot of sauerkraut! Congrats Allie. She completed against 24,217 third graders in Arkansas to win $1,000 from Bonnie Plants. Last year, Cabot third grader John Micheal Farthing won the contest with a 17.5 pounds cabbage. To view all the winners from across the United States, click here.